If you have an uneven surface around your stoma, it's likely that you have come across ConvaTec's Eakin Cohesive Seal #839002 or #839001 or Hollister's Adapt Barrier Ring #7805 and #7806. Coloplast has been somewhat absent in this product offering until now. Just a few months ago, they announced their entry with a bang with the Brava Moldable Ring. Simply use these ostomy rings to fill in cavities or folds in the intact skin around the stoma. This provides a seal between the stoma and the ostomy skin barrier to protect the sensitive skin from stoma output. 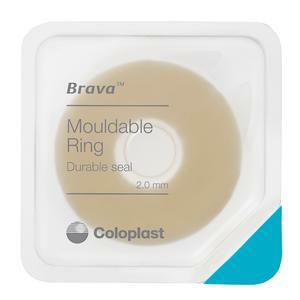 Use the Brava Moldable Ring and the other ostomy rings WITH any ostomy pouch/skin barrier. 1. Removal of the protective paper. Before applying the Moldable Ring, ensure that the skin around the stoma is clean and dry. Remove the ring from the plastic packaging, and then peel off the protective backing from both sides by holding the removal ears. 2. Mold the ring. Mold and stretch the ring to the desired shape. 3. Application. Apply the ring to the skin around the stoma. Adjust the shape again if needed. Mold the paste with your fingers so that the edge of the ring is securely smoothed onto the skin. If you use a 2-piece ostomy appliance, it is possible to apply the ring directly to the coupling side of the barrier, to achieve a snug fit around the stoma. 4. Application of the bag. Apply the ostomy bag as normal. 5. Removal. After usage, gently remove the appliance from the skin. The moldable ring should come off together with the adhesive. However, if it remains on the skin, simply remove the modable ring afterwards. 6. Disposal. The product should be disposed of together with household waste. Do not flush the product down the toilet. You can buy Brava Moldable Rings at a discount from The Parthenon Company. 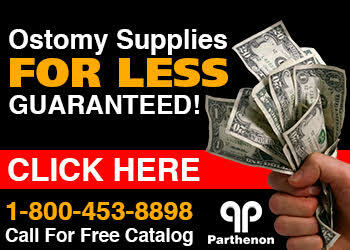 Parthenon specializes in wound and ostomy supplies and carries all the brands and accessories!